Knockout roses are a hardy rose variety that will thrive for almost any gardener. They are disease resistant and require little maintenance over the course of the growing season. Aside from water, general fertilization and light pruning, the gardener’s biggest job with knockout roses is to enjoy the beautiful display all summer long. Knockout roses are suitable for a gardener seeking to learn the art of rose gardening because they do not require much of the traditional maintenance that other rose varieties require. 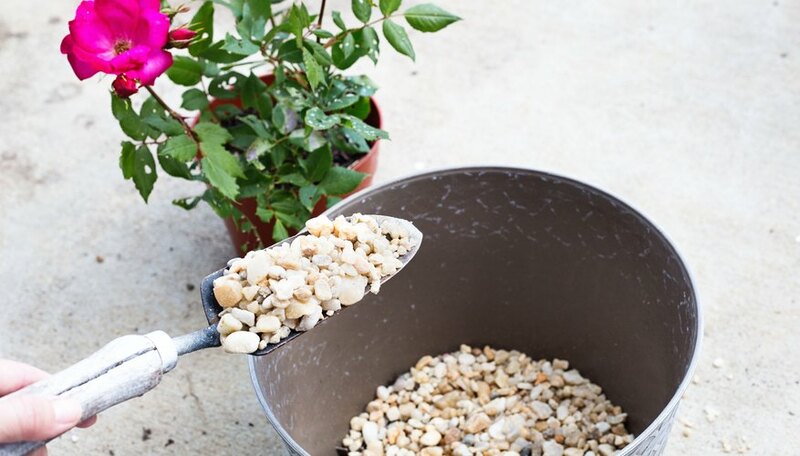 Place a 2-inch layer of gravel in the bottom of the container. Fill the container about halfway with potting soil. 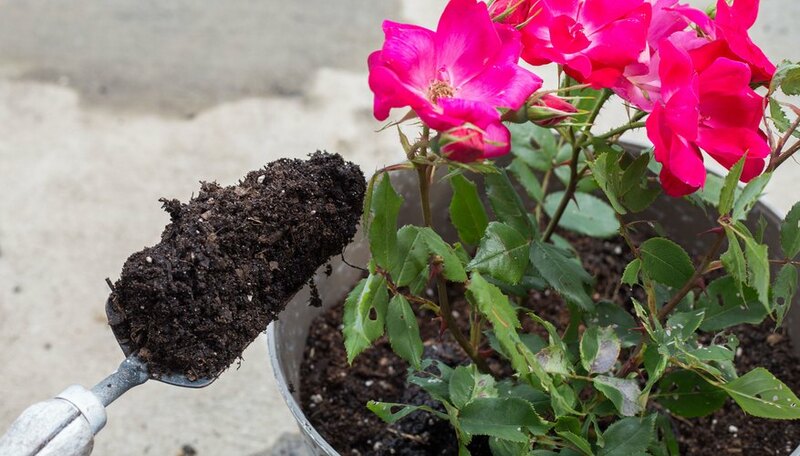 Remove the knockout rose from the temporary container and gently separate the outer roots from the root ball to enable them to grow into the soil more easily. Make a hole in the center of the pot and place the rose plant into the hole so that it is at the same depth as it was in the temporary pot. Fill in potting soil around the roots and tamp it down firmly around the base of the plant with your hands. Water the newly planted knockout rose well immediately after planting. 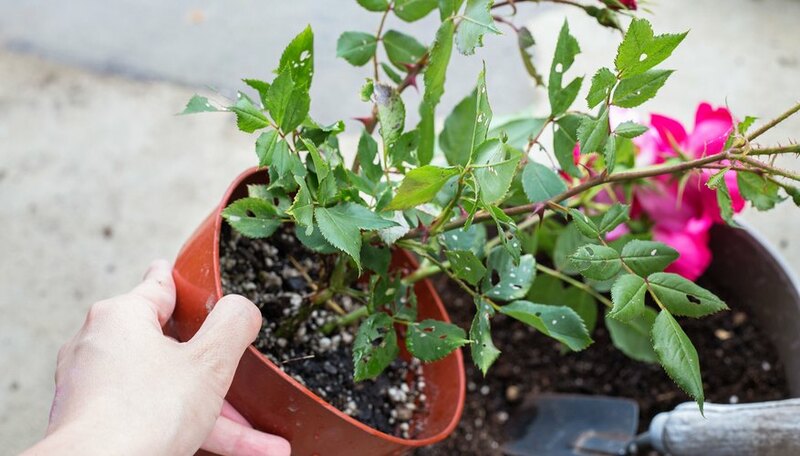 Add a 1-inch layer of mulch to the top of the potting soil, making sure that the mulch does not touch the stem of the rose. 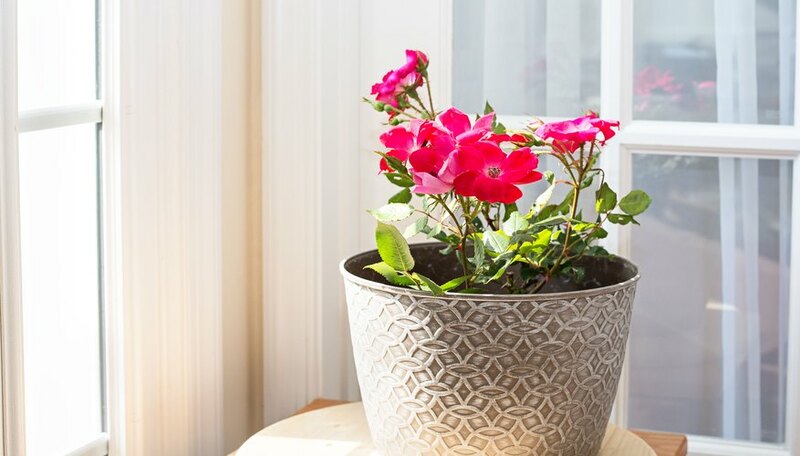 Place the container in a location that receives about six hours of direct sunlight each day. Keep the knockout rose pruned during the growing season by clipping off the spent blossoms as they wither. This will encourage the plant to continue blooming throughout the entire growing season. Provide water for the knockout rose every day to keep the potting soil adequately moist. Fertilize the knockout rose after it has bloomed for the first time. 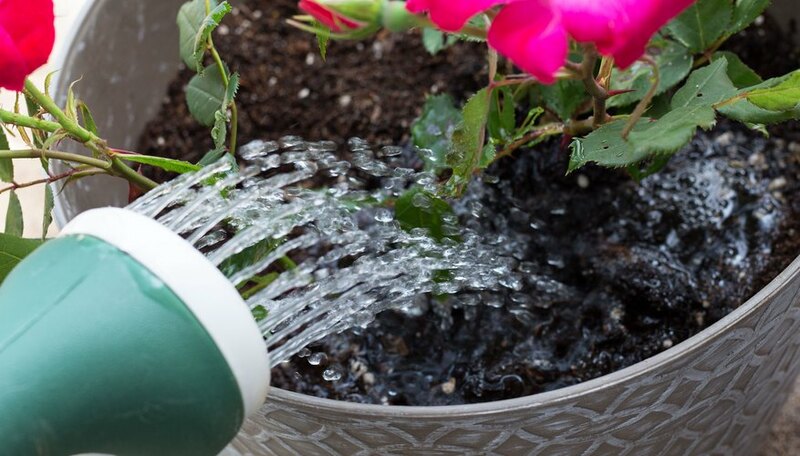 Mix the fertilizer with water according to package recommendations for your container size. 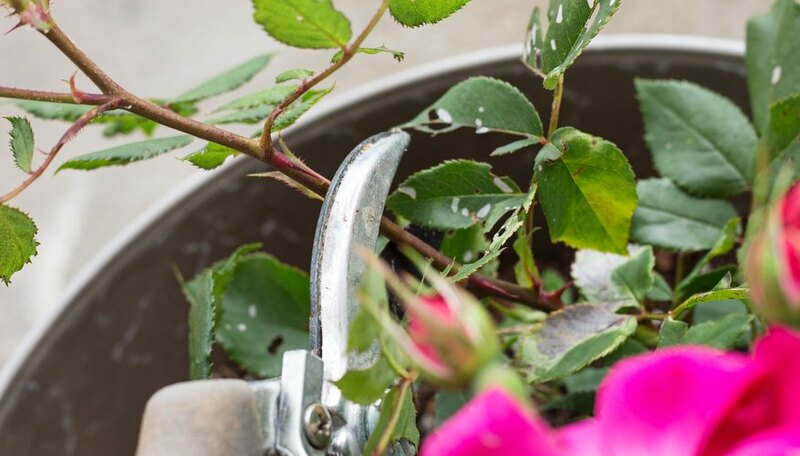 Pour the fertilizer mixture around the base of the rose plant, making sure you do not pour it directly onto any plant foliage. 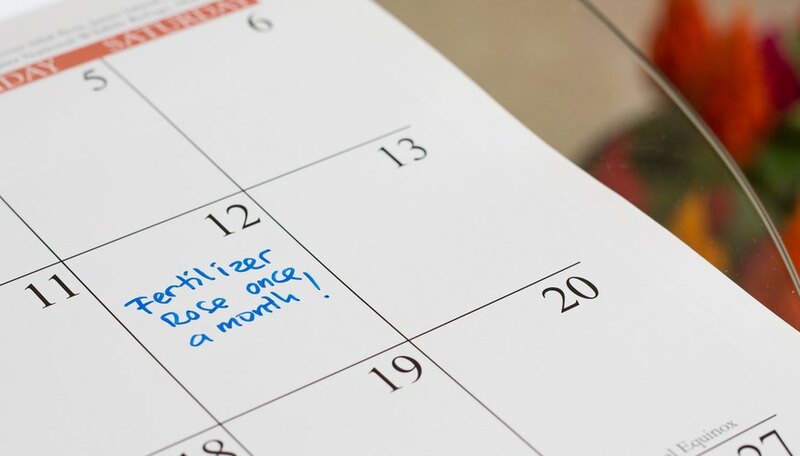 Fertilize the rose plant once a month during the entire growing season. Move the container to a garage over the winter months to give it additional protection from the winter temperatures. Knockout roses grown in containers will not be able to withstand the winter weather because the containers leave the roots less protected from harsh weather. If you desire more protection for the knockout rose, wrap the rose plant in burlap while it is in the garage. Prune knockout roses in late winter or early spring while the plant is dormant. 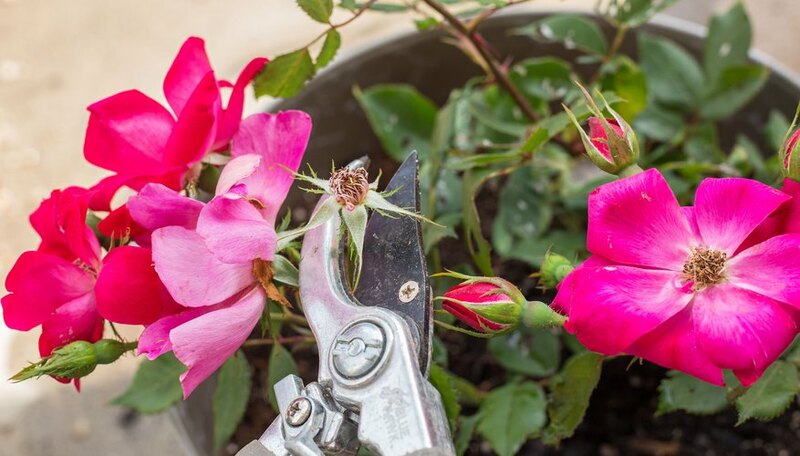 Cut back one-third of the knockout rose by cutting the canes back to the point of a bud. Clip just above the bud and make the cut at an outward 45-degree angle, with the highest part of the cut to the outside of the plant and the lowest part of the cut facing the inside of the plant.